A tangy and sweet sauce that is versatile and can be used as a dipping sauce or as part of a main meal. The natural ingredients give it a lovely flavour and the sauce is quick to make and will last a few days in the fridge. Not too spicy, refreshing, tangy and best of all made with nourishing ingredients. This sauce is a breath of fresh air for people like myself living gluten free and who are sensitive to most things in a bottle or package. 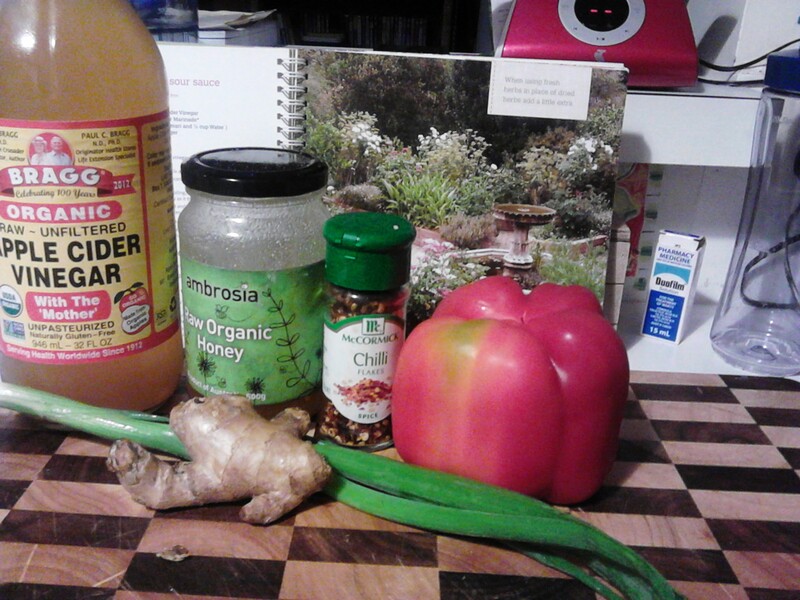 It is a recipe taken from the Gawler Foundation Cook Book ‘eat well: be well’ which is a book l have reviewed and can highly recommend, especially if you require a healing diet. 3/4 cup Organic Apple Cider Vinegar which l keep in the fridge. 1/8 teaspoon dried chilli flakes or 1/ fresh chilli finely diced (I used the dried chilli and used the smallest amount which l cut finely with a knife. The amount added will vary for each person). 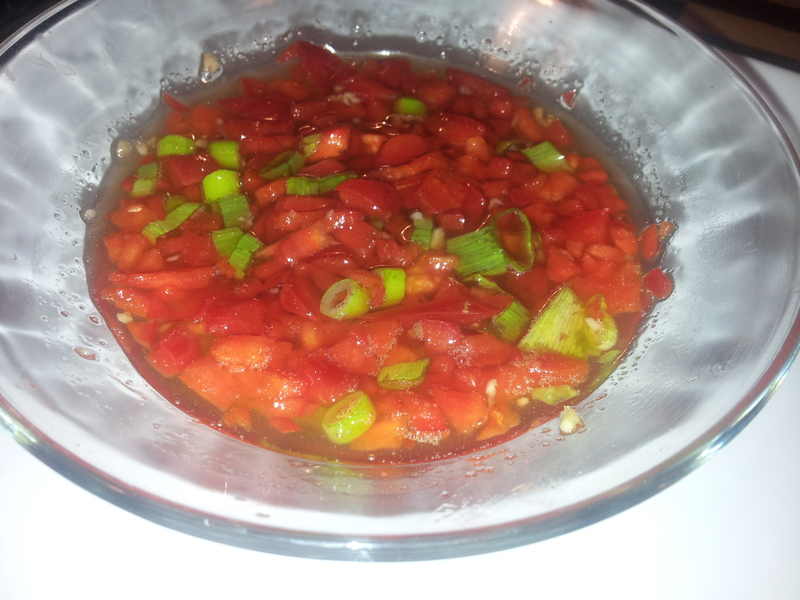 In a small saucepan bring the honey and vinegar to the boil, then add the chilli and let the sauce simmer for 20 minutes. 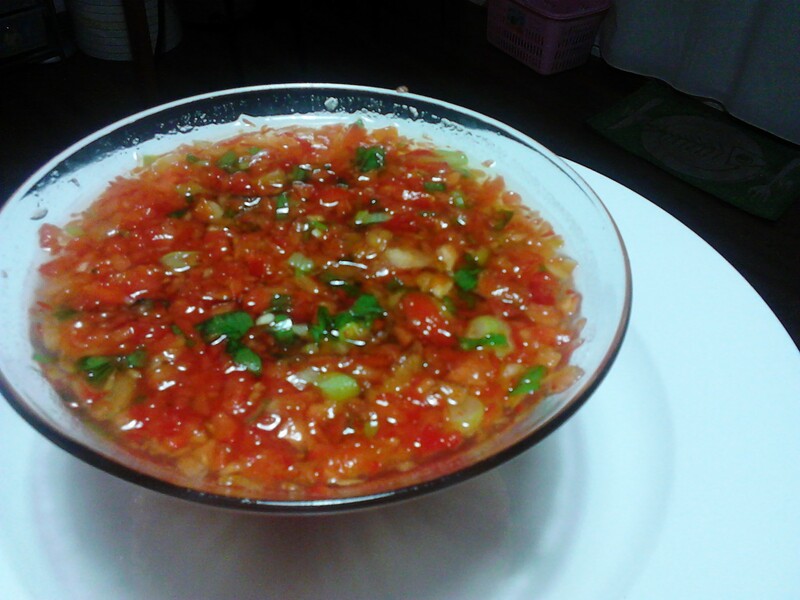 Place the red capsicum in a bowl and squeeze the grated ginger so the juice falls on top of the capsicum. Give it a gentle mix. The original recipe now says to pour the honey mixture over the capsicum mix and let it cool and then add the spring onion, but l did something different here. I let the honey mix cool first and then poured it over the capsicum as l wanted the capsicum to remain raw and then added the spring onion, so up to you as to which method you choose. 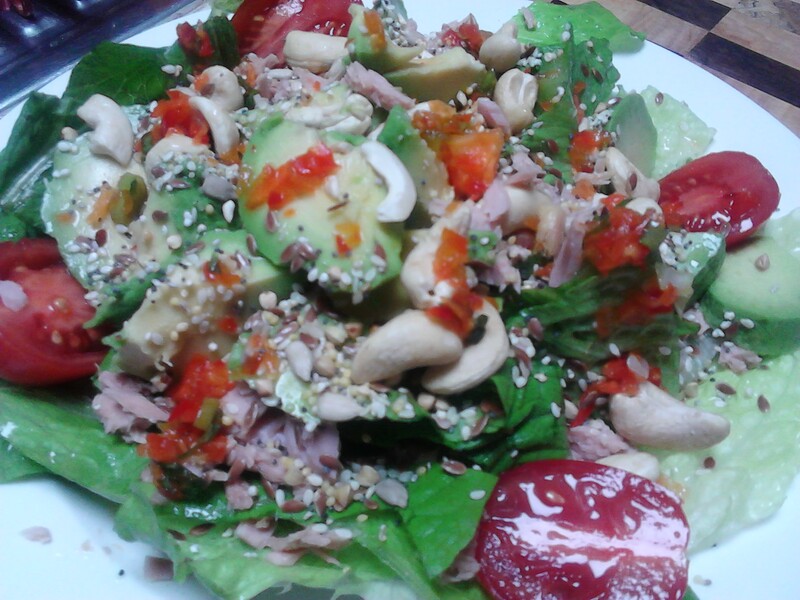 Lunchtime healthy salad. I drizzled the chilli sauce over the salad. It was a taste sensation! This is a very versatile sauce and really easy to make as long as you have the ingredients on hand. Adding flavour to a meal can be a challenge when you have food intolerances or sensitivities and this sauce definately adds some brightness and flavour to those of us living on a restricted diet. For consultation details click the picture below.